Micron Consumer Products Group (Micron CPG) warrants to the original end customer ("you") that its Crucial-branded memory products are free from defects in material and workmanship affecting form, fit, and function. Any claim alleging that any product fails to conform to the foregoing warranty may be made only by the end customer who originally purchased such product and only while such customer owns such product. Micron CPG, at its option, will repair, replace, or provide an in-store credit or refund of either the original purchase price or fair market value, whichever is lower, of any product that is determined by Micron CPG to be defective during the warranty period. 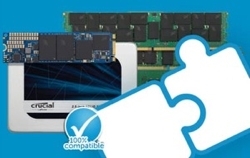 Micron Consumer Products Group (Micron CPG) warrants to the original end customer ("you") that its Crucial-branded factory recertified solid state drive products are free from defects in material and workmanship affecting form, fit and function. Any claim must be made within one (1) year from the original date of purchase, and Micron CPG shall have no liability thereafter. Any claim alleging that any product fails to conform to the foregoing warranty may be made only by the end customer who originally purchased such product and only while such customer owns such product. Micron CPG, at its option, will repair, replace, or provide an in-store credit or refund of either the original purchase price or fair market value, whichever is lower, of any product that is determined by Micron CPG to be defective during the warranty period. If you experience any problems with a Crucial memory product or SSD within 30 days of purchase, please contact the place of purchase for return procedures. If you purchased the product directly from Micron CPG, inspect the product within 45 days of receipt (30 days for factory recertified SSDs), such period being a reasonable period to examine the product for defects or shortfalls, and notify Micron CPG promptly of any nonconformance. Failure to notify Micron CPG or the original retailer within the above time periods will constitute acceptance of the product for all purposes. No product may be returned for any reason without obtaining a Return Material Authorization (RMA) from Micron CPG. You are responsible for returning the product to Micron CPG at your risk and expense. You are responsible for any duties and taxes due on replacement product sent from Micron CPG. 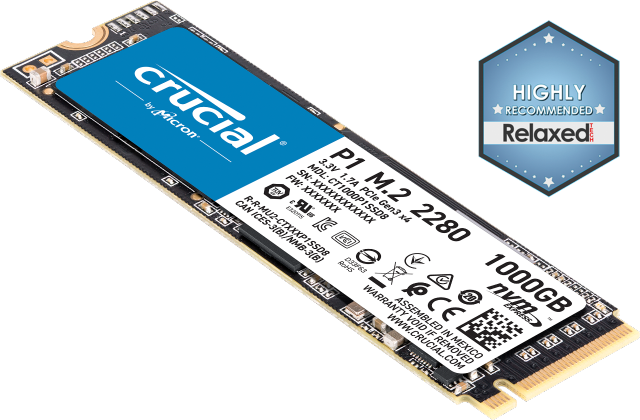 Refunds are only applicable to new product purchased directly from Micron CPG and within 45 days of purchase (30 days for factory recertified SSDs) for new memory or new SSDs. To obtain a Return Material Authorization (RMA) number for your defective product, use the chart below to find your region-specific website ("RMA Website") where you can quickly get an RMA number. You can also obtain an RMA number by contacting a customer service representative, but you will receive the fastest possible service online. Once you have an RMA number, package your defective product according to the instructions in the section below ("How the Return Process Works"). Any return of the product (with proof of purchase) should be made in a timely manner and at your expense. Ship the product in question to Micron CPG in its original packaging and enveloped in the original antistatic bags (product to be shipped at your expense). Micron CPG will not be responsible for damaged parts if you don't follow this process. Please retain shipping information, including tracking numbers, until your account has been credited by Micron CPG or replacement product is received. If Micron CPG determines that failure of the product was not a result of a defect in materials or workmanship, Micron CPG reserves the right to charge you either (1) for parts and labor at Micron CPG's then-current labor rate or (2) a 20% restocking fee. Micron CPG will advise you prior to assessing these charges. Any product returned to Micron CPG shall become the property of Micron CPG. This warranty gives you specific legal rights, and you may also have other rights, which vary by jurisdiction. This limitation does not affect your statutory rights. TO THE EXTENT PERMITTED BY LAW, IN NO EVENT WILL MICRON CPG BE LIABLE FOR ANY LOST IMAGES, DATA, REVENUE OR PROFIT, OR FOR SPECIAL, INDIRECT, CONSEQUENTIAL, INCIDENTAL OR PUNITIVE DAMAGES, HOWEVER CAUSED REGARDLESS OF THE THEORY OF LIABILITY, ARISING OUT OF OR RELATED TO THE USE OF OR INABILITY TO USE THE PRODUCT, EVEN IF MICRON CPG HAS BEEN ADVISED OF THE POSSIBILITY OF SUCH DAMAGES. IN NO EVENT WILL MICRON CPG'S LIABILITY EXCEED THE AMOUNT PAID BY YOU FOR THE PRODUCT.